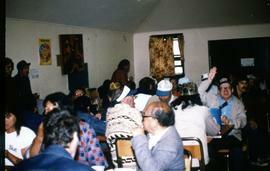 This photo shows guests at Agape Table enjoying a meal. 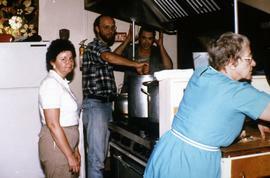 Up to 300 people per day showed up for food. 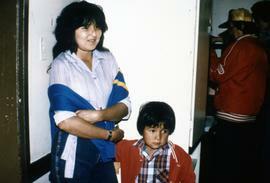 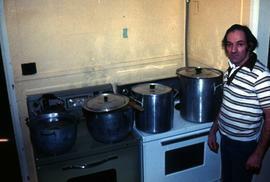 This photo shows a mother and her child coming to the Agape Table for food. 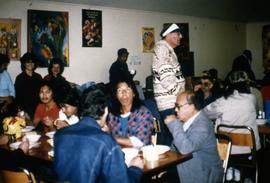 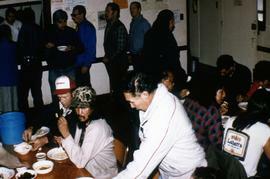 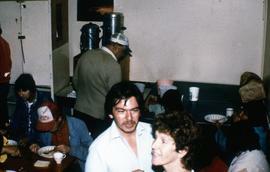 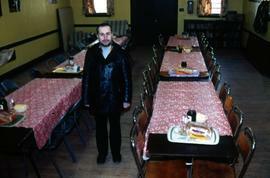 This photo shows people lining up for a bowl of hot soup at the Agape Table, 175 Young Street. 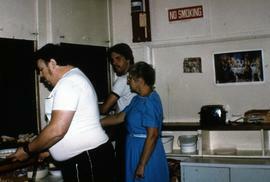 250 to 300 people per day were being served here.